One way that a business entity can check how progressive their operations are, is through internal reports made after every accounting period. These reports aim to present to management if the projected plans of the entity are met in actual operations. 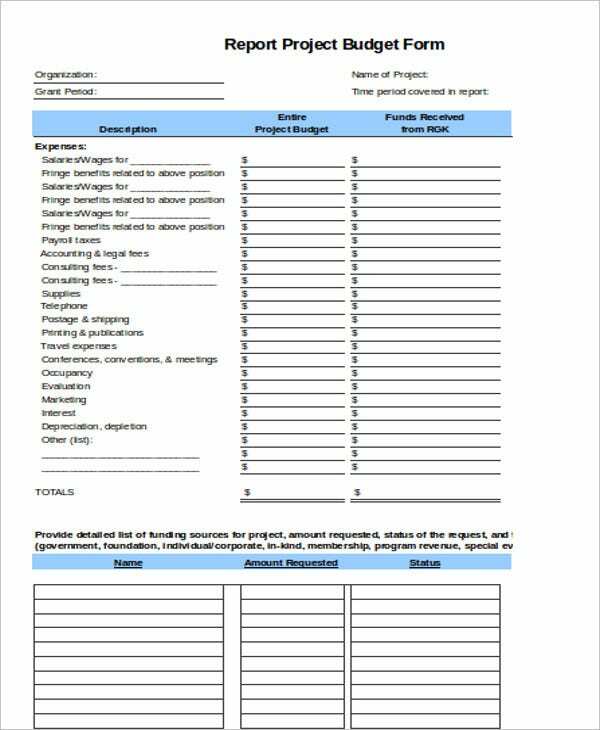 Examples of the templates include an Report Templates, a Financial Report, and a Budget Report. 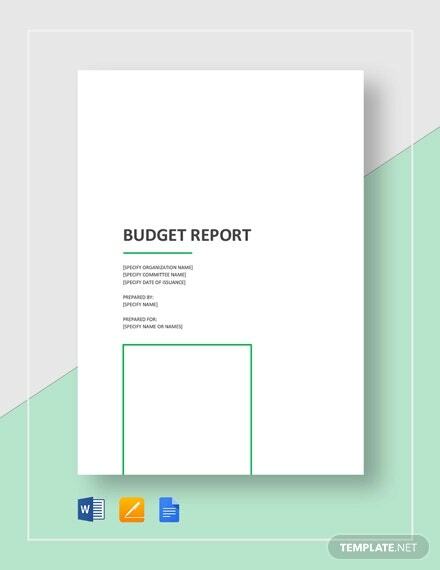 These budget report sample templates give you ideas on how different budget reports are to be written. They are downloadable and can aid you in your office reports. 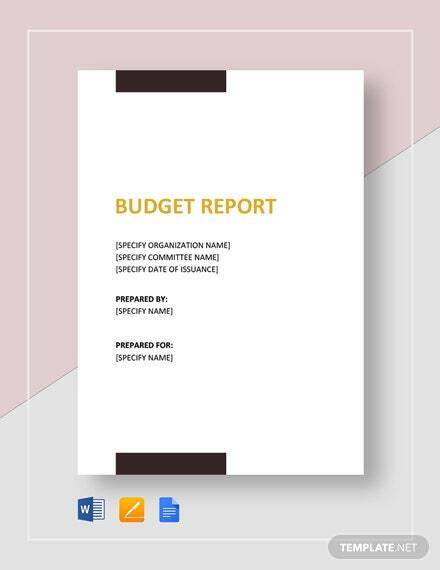 You can follow the formats on how to make the report summary, the expenditure report, and the budget reports for specified purposes. What Is a Budget Report? 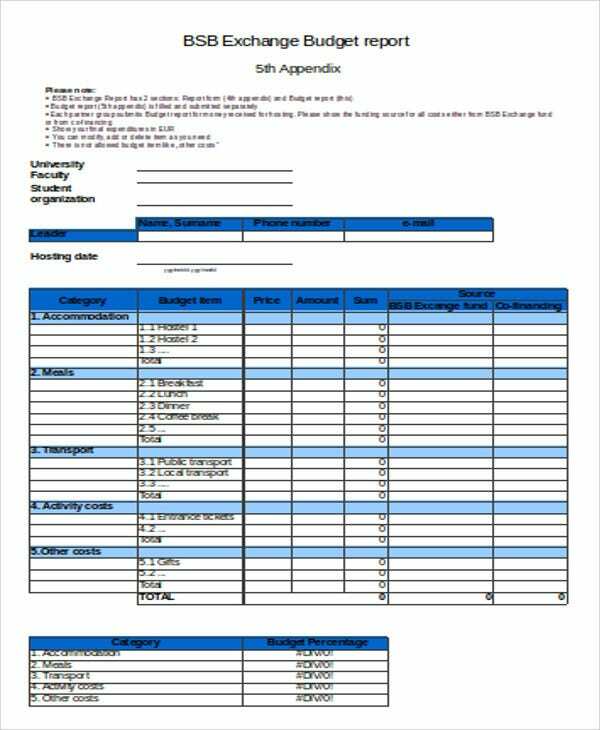 Used by management, a budget report is an internal report of a business entity comparing projected budget with the actual expenditures for a specified period of time. The management will see how much of the estimations have been achieved in the actual performance of the company. With that, they can correct current operations to make the actual values aligned with the budget projections or they can adjust the next estimates if the projected budget based on was far off from the actual performance values. 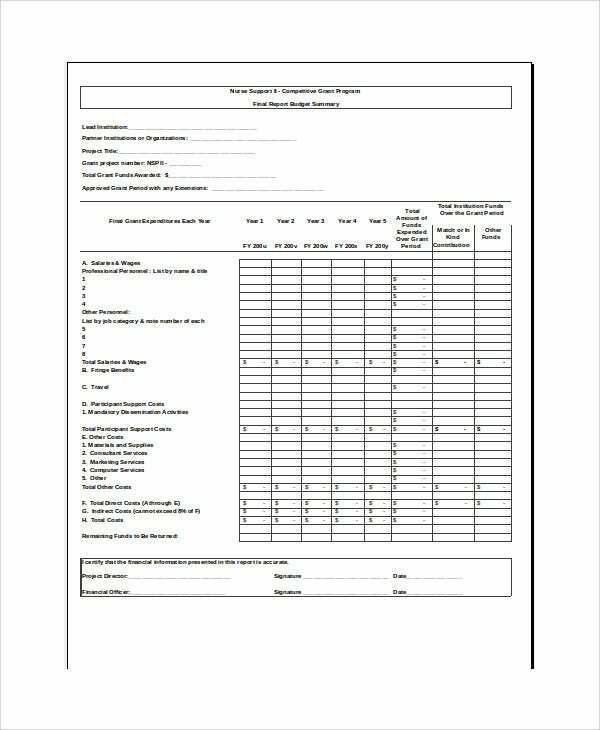 There are report samples in PDF format on budget report templates as well as the Financial Report Templates available on our website. 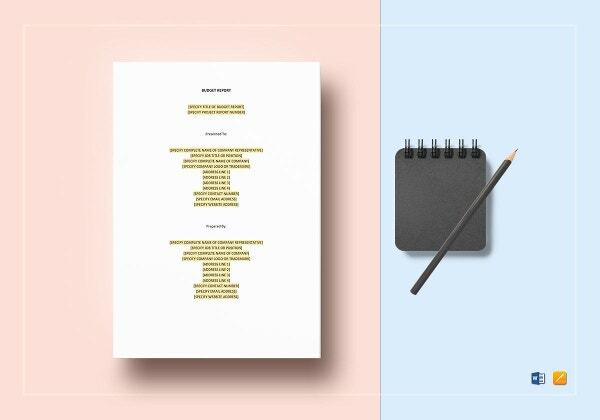 A budget report comprises an entity’s operations, production, sales, or marketing budget showing a comparison of estimated and actual values, while a financial report incorporates all the reports including the budget report into financial statements with discussions and analyses. A budget report is a tool for resource planning, while a financial report is essential for financial planning. On our website are various report samples in .doc format for Windows Office users. 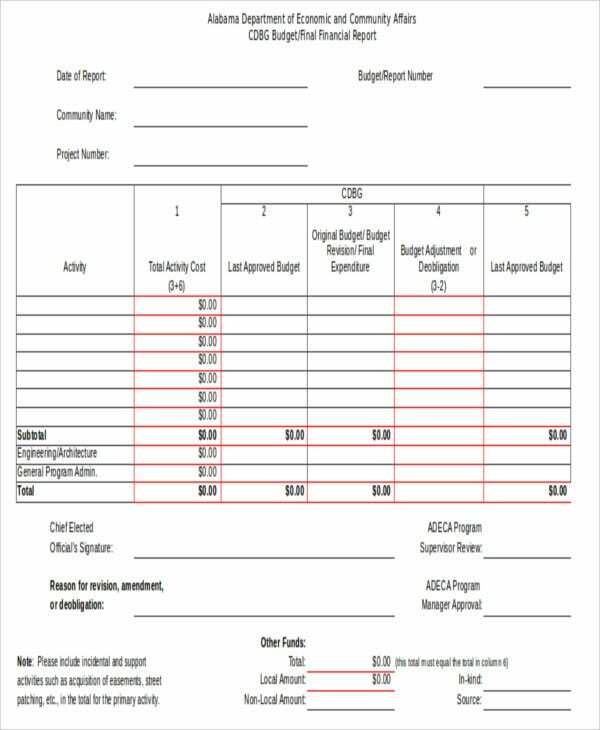 On another note, you might be interested in these Church Budget Templates if you’re a church secretary preparing your church’s income statement. Estimated value. This shows your projected budget values for a project. Actual value. 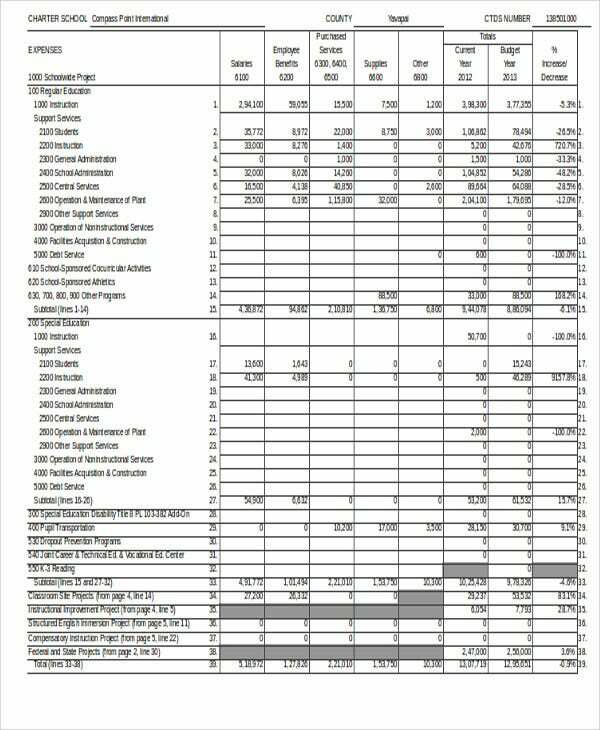 This presents the actual values incurred based on the projected budget. Budget variance. This is the difference between the estimated value and the actual value. This shows what part of the budget you estimated more or less. Budget percentage. This shows how close you have reached the estimated budget. 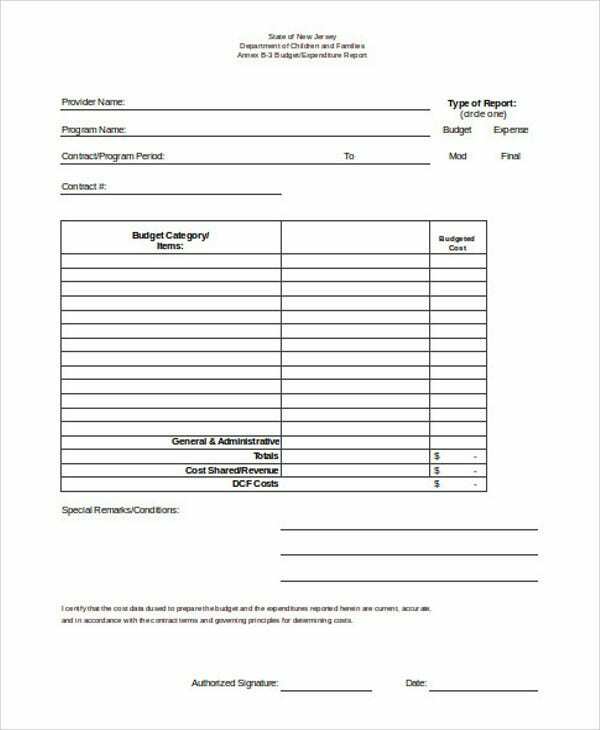 This format also applies to Expense Report Templates, which presents a comparison between the expenditures you have estimated and the actual expense incurred. 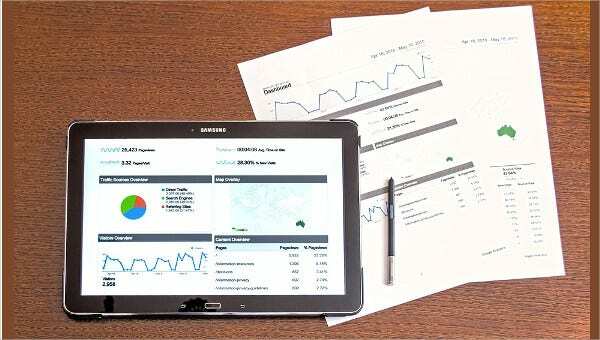 By knowing what comprises a budget report will help you analyze the values presented on the report. 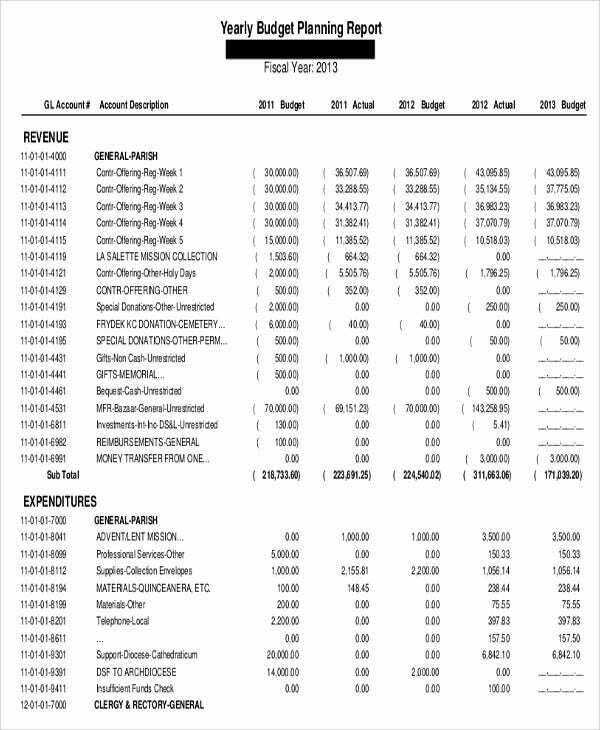 An important tool for planning is a budget report. 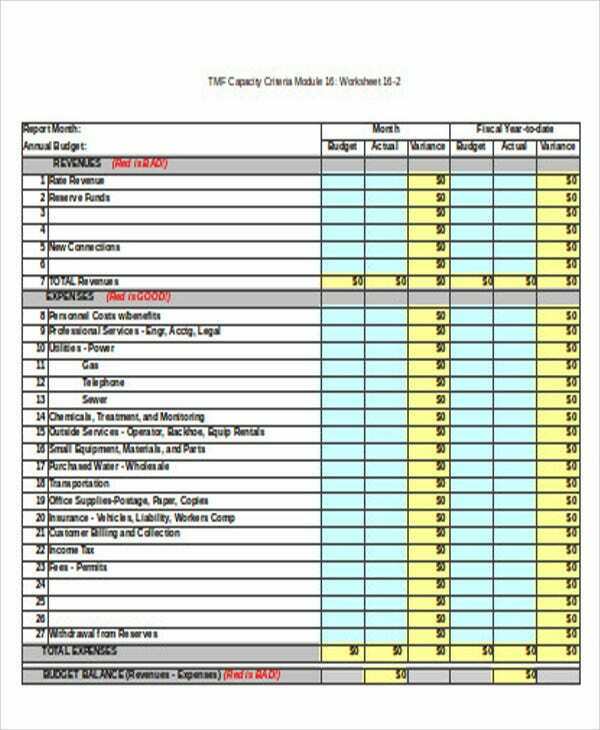 Knowing the information along with the sample templates will guide you in preparation for your report. 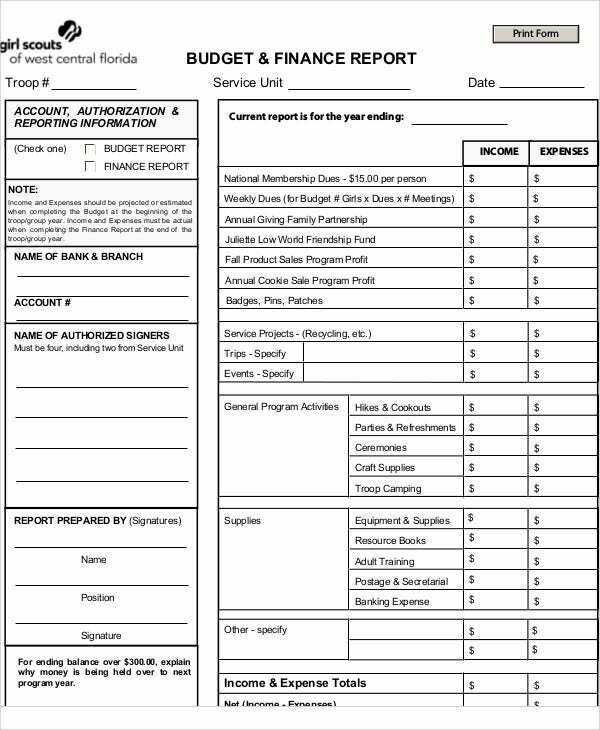 Download these budget report templates for your usage or for your reference.